In the past when traditional pain medications were no longer effective, knee surgery was one of the few options available for alleviating the painful symptoms of osteoarthritis. 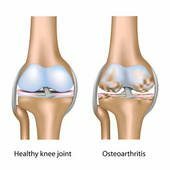 Osteoarthritis—the deterioration of the protective fluid and cartilage in a patient’s joints and bones—speeds up the natural wear and tear our bodies go through. Though osteoarthritis can occur in any joint where the fluid and cartilage is compromised, patients most often experience deterioration in the knees. Safe and natural, it is a treatment designed to replenish the fluid in knee joints, the Supartz injections contain a fluid found naturally in the body’s joints: purified sodium hyaluronate. Allstar Healthcare has the resources and skills to diminish painful osteoarthritis, and return patients to normal, active lifestyles.